Anna Martin is recently divorced and is now down south trying to get her life together. 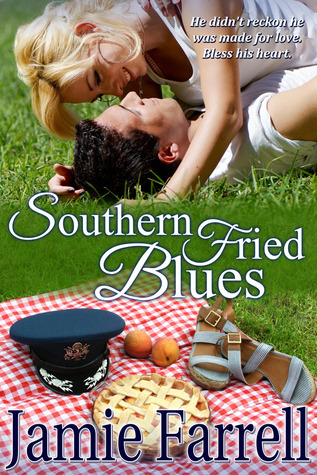 Jackson Davis is an All-American Southern Boy who thinks true love isn't for him. After her divorce to a military man, Anna vows to avoid the type, but Jackson an Air Force sweetheart is different and soon these two begin to get each other and realize there is something real there. Granted they have to fight it, but still they're both quirky and sweet. The book is a little lengthy, but the story is sweet and you get a lot of laughs and sweet moments as these two come together. Some might find the story a little too lovey-dovey, but sometimes, we just want a nice, cute story to read and this one is it.